Audrey Hepburn is captivating on screen. When you're watching, you just know that she was born to be an actress. From the way she carries herself to her innate glamour and charm, there's a reason I will watch her in absolutely anything! Today, Rachel and I are sharing three of our favorite movies and one we want to watch. I love this unflinching look at marriage, even when it's painful to watch. They banter and bicker, and I was hooked for the entire thing. I like that it has an unconventional and unexpected structure. And I love how different than fashion is in this movie! If you want more reasons to watch this movie, here's my post about it. How much do I love this movie? I can't even begin to tell you! It stars Cary Grant, my favorite leading man, which is a definite point in its favor. 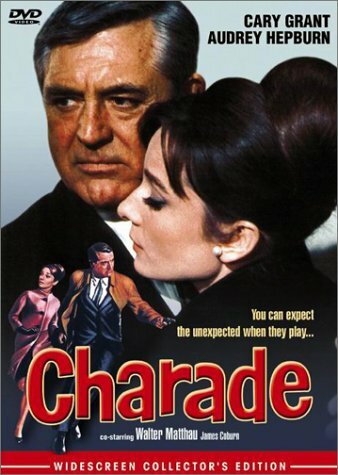 Charade is a mystery, romance and comedy all wrapped up in one. Audrey Hepburn plays Regina Lampert - a woman whose husband is murdered because of a crime he committed years ago. She's pursued by several men who want the stolen fortune that still hasn't been found, and you won't be able to look away while it all unravels. 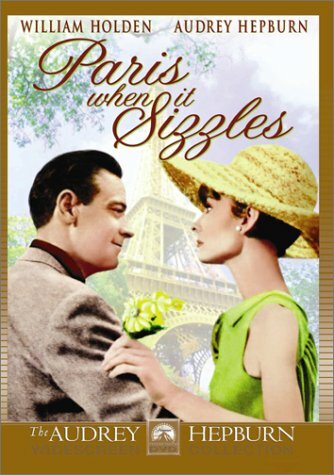 This is the Audrey movie that my entire family loves. It's witty and smart, and I can't stop quoting it while I watch. 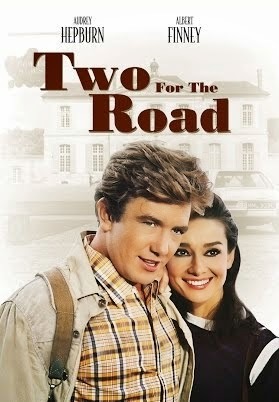 This is probably the Audrey movie that I recommend most often! If you haven't seen it yet, what are you waiting for?! I think this might be Audrey's most iconic role! 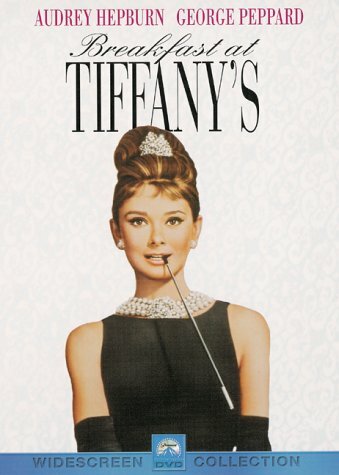 Whether or not you've actually seen this movie, chances are good that you've seen that famous photograph of Audrey in a her little black dress standing in front of the Tiffany's window. While there's one aspect of this movie that I hate (Mickey Rooney's character), I've always had a soft spot for Audrey in the role of Holly Golightly. She's a bit of a manic pixie dream girl! A struggling writer moves into Holly's apartment building and becomes fascinated by her quirky charm. But she's underneath her confident exterior, she's a vulnerable and lost soul. Watching her is such a delight, and there are so many unforgettable scenes in this movie! One of my favorites is when Holly sits and sings "Moon River." There are a few other Audrey movies I haven't seen, but this one is at the top of my list. I love the clips and movie stills that I've seen, so I've got to get around to watching this one soon! Make sure you check out Rachel's post, follow #AllAboutAudrey on Twitter and enter the giveaway! My first Audrey Hepburn film, The Nun's Story, was seen at the cinema when I was in my teens. I prefer her much lighter roles. Breakfast At Tiffany's and Roman Holiday are my favourites, the latter also because it starred Gregory Peck. Charade is excellent too.